Migraines rank as one of the top 20 most debilitating medical conditions worldwide. There are many different types of headaches, but a migraine is classed as a recurrent headache characterized by specific symptoms. You may not know this, but migraines and chronic migraines are very common among adolescents. In a recent study which included 520 chronic migraine patients, 80% were not correctly diagnosed. If your child suffers from 15 or more headaches per month, they are suffering from chronic migraines. No formal classification of headaches specific to children exists. The diagnosis of migraines in children is often more difficult than for adults. In adults an aura precedes the onset of migraine. Aura refers to feelings and symptoms you notice shortly before the headache begins. In children, a migraine will occur with or without aura and can last up to 48 hours. Therefore, migraine headaches in children and adolescents are more often than not bilateral, meaning there is pain on both sides of the head. In more than 40% of migraine cases pain is typically described as pulsating or throbbing. Chronic migraine affects 0.8% – 1.8% of adolescents and 0.6% of children. They are more common in boys until the menstrual cycle begins, after which it becomes more common in girls. The child may look ill and exhibit changes in behavior. Children aged of 5 – 10 will usually have abdominal cramps and vomiting along with the migraine. Kids may cry or simply be irritable. Relaxation techniques and herbal remedies are generally the preferred treatment options for adolescents. Treatments will also focus on stress management, education, biofeedback and medication may also be prescribed. It is advised to rather identify the triggers instead of using endless amounts of medication. A natural approach will have far better long-term results than if you were to become dependent on medication. Other natural treatment approaches could involve massage therapy, acupuncture, and meditation. Of course, the form of treatment will largely depend on the age of the child, the frequency, severity and the cause of the migraines. Most adolescent migraines can be relieved with sleep. Diet can play an important role in the precipitation of headaches in children. Unfortunately diet, as a headache trigger, is usually ignored. Through a process of elimination, you can learn your child’s triggers. Once you know what triggers your child’s headaches, you will be able to avoid them. Be sure to avoid fasting or skipped meals as this will only aggravate the situation. 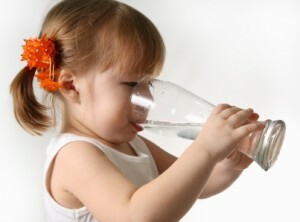 Also ensure your child drinks plenty of water. For more information on this condition, please read Natural Treatments For Adolescent Migraines.